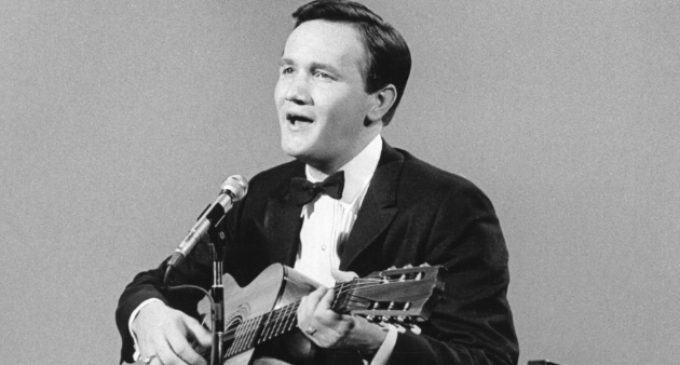 Late Country Music Hall-of-Famer Roger Miller is the focus of an all-star, multi-genre, two-disc tribute coming August 31.In addition to country stars like Dolly Parton, Loretta Lynn, Emmylou Harris, Ronnie Dunn, Kacey Musgraves, and Alison Krauss, Beatles legend Ringo Starr and alternative rock bands Toad the Wet Sprocket and Cake also contribute songs to the project.Brad Paisley covers one of Miller’s signature tunes, “Dang Me,” while his fellow Hall-of-Famers Willie Nelson, Kris Kristofferson, and Merle Haggard team up to do “Old Friends.” Eric Church tackles “Oo De Lally,” a song Roger wrote for Walt Disney’s Robin Hood.Actor John Goodman, who scored one of his big career breaks in Miller’s Broadway musical Big River, contributes the show’s “Guv’ment.”King of the Road: A Tribute to Roger Miller was produced by Roger’s son, Dean Miller.“Roger Miller didn’t have to say much,” he says of his dad in the liner notes. “You were simply drawn to him. He had a magnetic smile, and electric wit and a passion for life and music that transcended generations.”The elder Miller died of cancer in 1992, at the age of 56. During his career, he landed more than 30 top-40 hits on the country chart, including ten tracks that crossed over to the pop world.A TV tribute is also in the works. 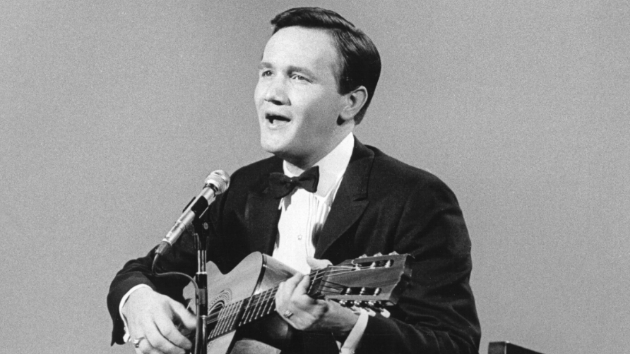 Here’s the complete track listing for King of the Road: A Tribute to Roger Miller:Disc One“Chug-a-Lug” — Asleep at the Wheel ft. Huey Lewis“Dang Me” — Brad Paisley“Leavin’s Not the Only Way to Go” — The Stellas/Lennon and Maisy“Kansas City Star” — Kacey Musgraves“World So Full of Love” — Rodney Crowell“Old Friends” — Willie Nelson, Kris Kristofferson, Merle Haggard“Lock Stock and Teardrops” — Mandy Barnett“You Oughta Be Here With Me” — Alison Krauss ft. The Cox Family“The Crossing” — Ronnie Dunn, The Blind Boys of Alabama“In the Summertime” — The Earls of Leicester ft. Shawn Camp“England Swings” — Lyle Lovett“You Can’t Rollerskate in a Buffalo Herd” — Various Artists“Half a Mind” — Loretta Lynn“Invitation to the Blues” — Shooter Jennings, Jessi Colter“It Only Hurts Me When I Cry (Live)” — Dwight YoakamDisc Two“Hey, Would You Hold It Down?” — Ringo Starr“Engine, Engine #9” — Emerson Hart ft. Jon Randall“When Two Worlds Collide” — Flatt Lonesome“Oo De Lally” — Eric Church“You Can’t Do Me This Way and Get By With It” — Dean Miller ft. The McCrary Sisters“Nothing Can Stop Me” — Toad the Wet Sprocket“Husbands and Wives” — Jamey Johnson ft. Emmylou Harris“I Believe in the Sunshine” — Lily Meola“Guv’ment” — John Goodman“The Last Word in Lonesome Is Me” — Dolly Parton ft. Alison Krauss“I’d Come Back to Me” — Radney Foster ft. Tawnya Reynolds“Reincarnation” — Cake“One Dying and a Burying” — The Dead South“Do Wacka Do” – Robert Earl Keen, Jr.“King of the Road” — Various Artists Copyright © 2018, ABC Radio. All rights reserved.